The Trade Preferences Extension Act of 2015 (“Trade Bill”), signed into law by President Obama on June 29, significantly increases potential penalties for employers and insurers that fail to comply with the Affordable Care Act (ACA) reporting requirements, beginning in early 2016. IRS Code 6056 requires employers with 50 or more full-time equivalent employees to file reports with the IRS annually stating whether the employer offered health coverage to full-time employees and their dependents during the preceding calendar year. 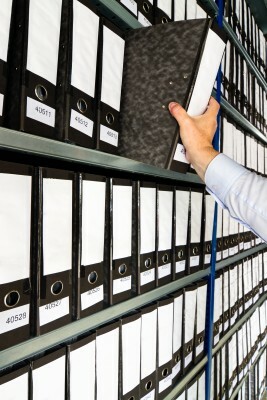 IRS Code 6055 requires all employers with self-insured plans, and insurers, to file reports with the IRS indicating whether an individual had health coverage during the preceding year. These reports must also be furnished to employees. The reporting requirements help the IRS enforce the ACA individual and employer mandates, and are effective for the 2015 calendar year, with reports first due in early 2016. The penalty for failure to file a required information return with the IRS was increased by the Trade Bill from $100 per return to $250 per return. The annual cap on penalties doubled from $1,500,000 to $3,000,000. In the event a failure to file is due to intentional disregard, the new $250 penalty is doubled and no annual cap applies. In addition to filing reports with the IRS, the ACA requires employers to provide certain forms to employees, similar to the existing WS-2 reporting requirements. It is important for employers to be aware that the penalties apply separately to both requirements. For example, a failure to file a Form 1095-C with the IRS and a failure to furnish the same Form 1095-C to the employee will result in two penalties of $250 each, or $500 per affected employee. These increased penalties also apply to other IRS information returns and filings, such as W-2s, and are effective in 2016. Reduced penalties apply when the failure to file is corrected within a certain period of time and the cap is reduced to $500,000 for employers (or insurers) with $5,000,000 or less in gross annual receipts. Despite the hike in penalties, the IRS’s enforcement policy for the first year of ACA reporting remains unchanged. The IRS has stated it will not penalize employers that can show they made good faith efforts to comply with the ACA reporting requirements for 2015. This entry was posted in Affordable Care Act (ACA), Employment Policies, Healthcare, News & Tips and tagged Affordable Care Act, IRS, Trade Preferences Extension Act of 2015 on July 9, 2015 by smithamundsen.